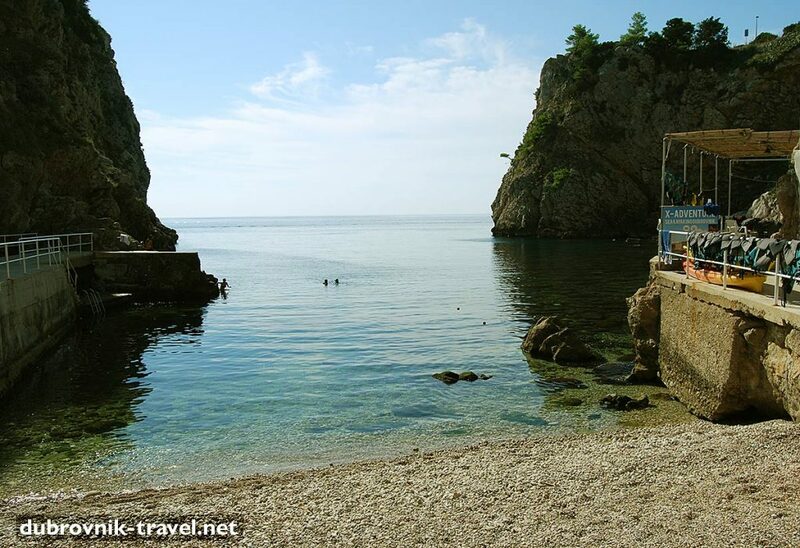 Šulić beach (pronounced “shoo-lich“), also known as Kolorina is located in Kolorina bay, just outside of town walls. 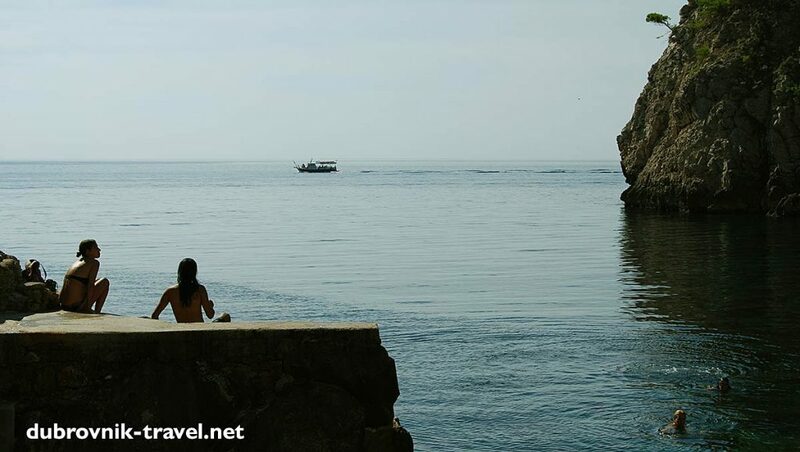 The beach that is named after a local family and is considered as one of the oldest swimming spots in Dubrovnik. Mostly used by locals, this beach is also popular by day trippers and short-time (24 hrs) visitors to the town. The beach offers great views over the open seas as well as over nearby Lovrjenac tower that is situated just there – on the eastern side of the bay, on the top of the tall cliff as well as on the popular local Gradac park that is on the top of the cliffs on the western side. 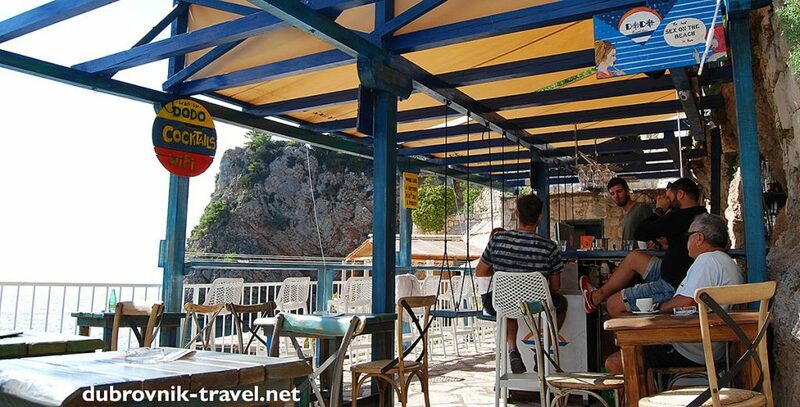 The facilities here include two beach bar/ cafe/ restaurants, and public shower & toilet. At this spot, you can also hire a sea kayak to explore further or if you have your snorkeling gear, you can enjoy watching here the underwater life (see video). 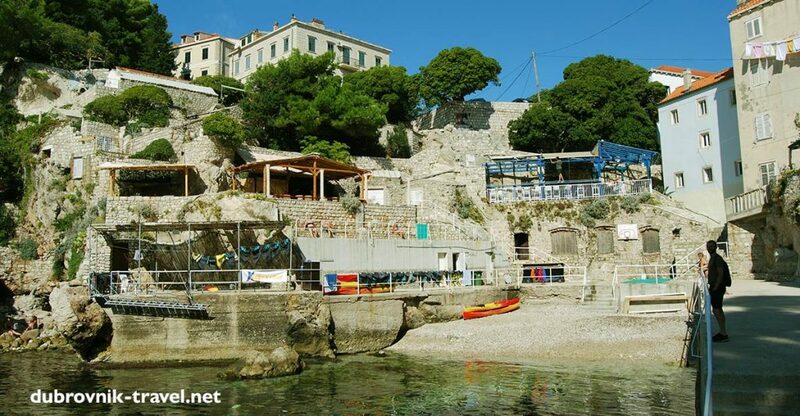 This rocky/concrete beach with small shingle (pebble) spot is also a place where two local beach restaurants and bars are situated, both very popular among locals – Dodo Beach Bar and Ala Mizerija bar-restaurant where you can get food and drink while enjoying swim and sunbath. Interesting fact about this beach is that cliff jumping is very popular here. This swimming spot is perfect for anyone looking for a shade on the hot days. Due to its location between two large cliffs, you will find plenty of morning shade here on the eastern bit of the bay and afternoon shade on the western shore. On the above photo, you can see the shady part on the right side. The photo was taken at about 11 am on a sunny day. From the Old Town – walk out from the walled town through Pile Gate and as soon as you are out of the gate turn left down the steps of Ulica Svetog Djurdja and left again to Ulica od Tabakarije for another couple of minutes. On the left side among the houses, you will see the steps leading down to the beach. From Lapad and Babin Kuk – take bus no 6 to Pile and follow instructions as above. From Gruž – take bus no 1 to Pile and follow instructions as above. Note: *This spot was featured in the Game of Thrones sea battle scene.